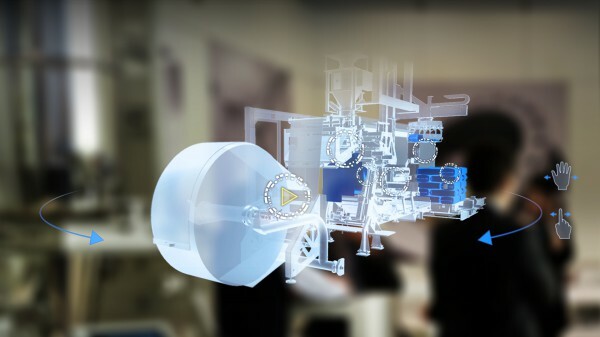 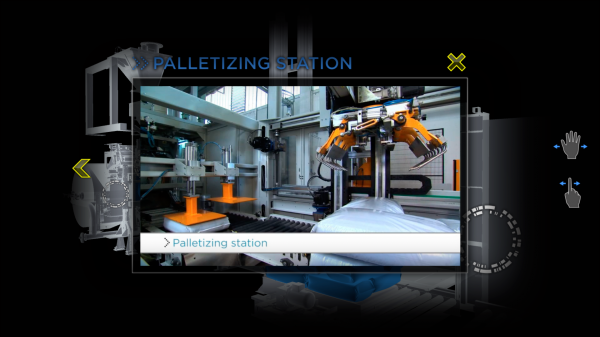 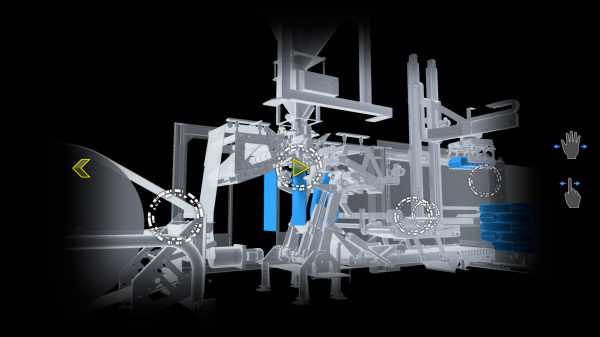 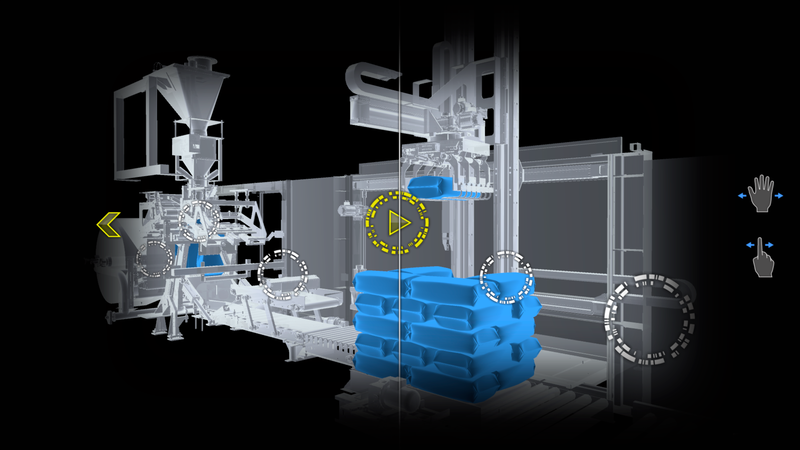 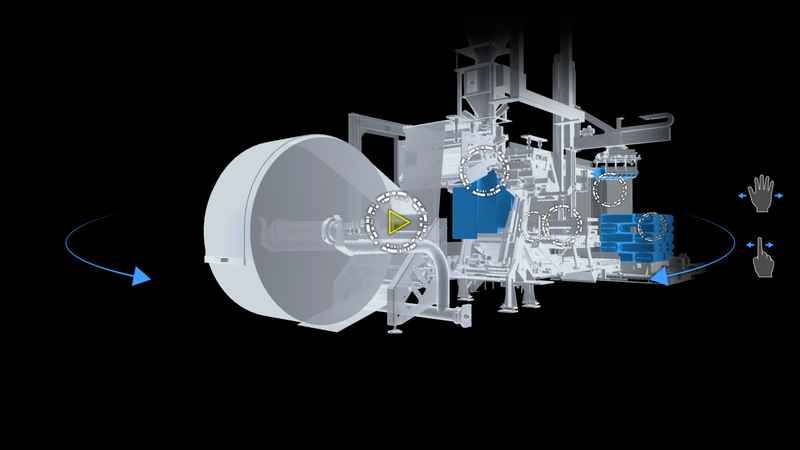 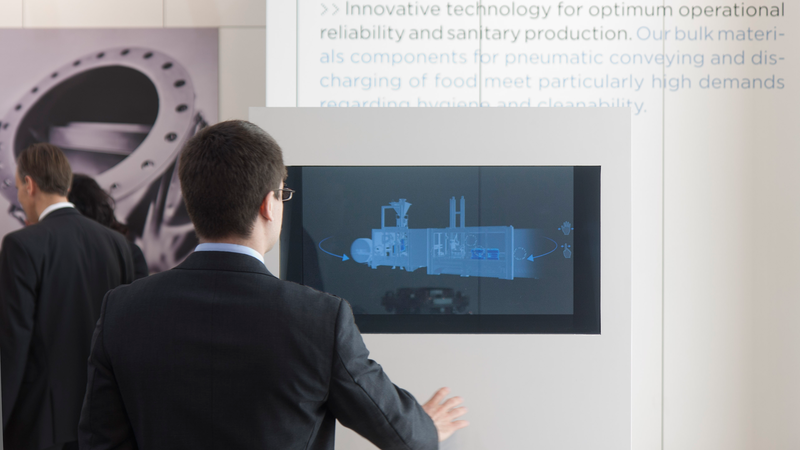 We developed an interactive holographic 3D simulation of a »packaging-system« for Coperion. 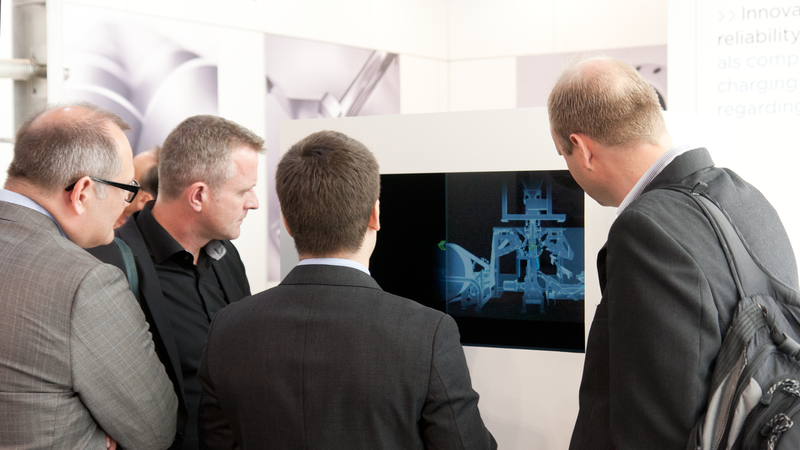 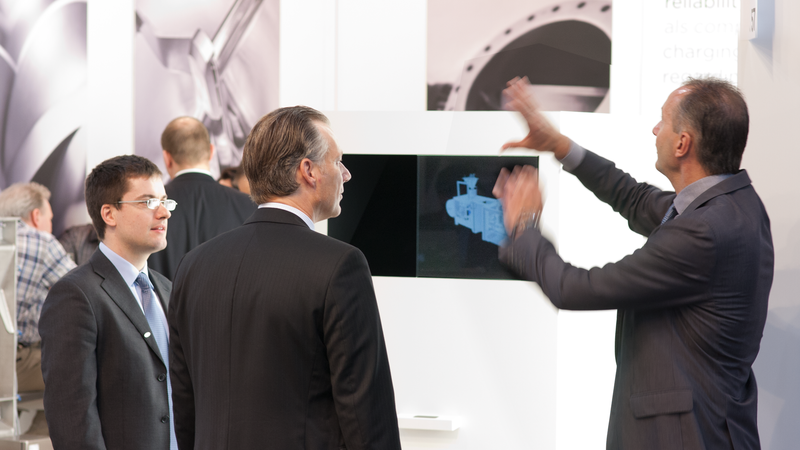 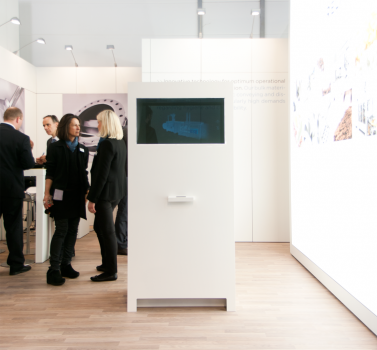 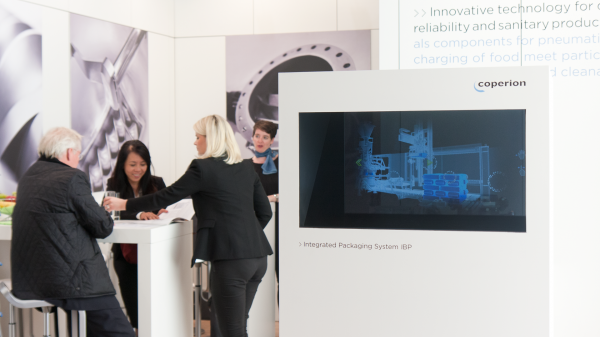 The exhibit recently was presented at the process and packaging fair »interpack 2014« (May 8 to 14 in Düsseldorf, Germany). 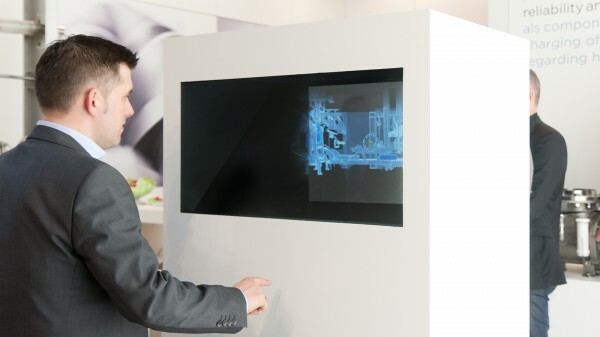 The animated 3D model can freely be moved by gesture interaction (using Leap Motion). 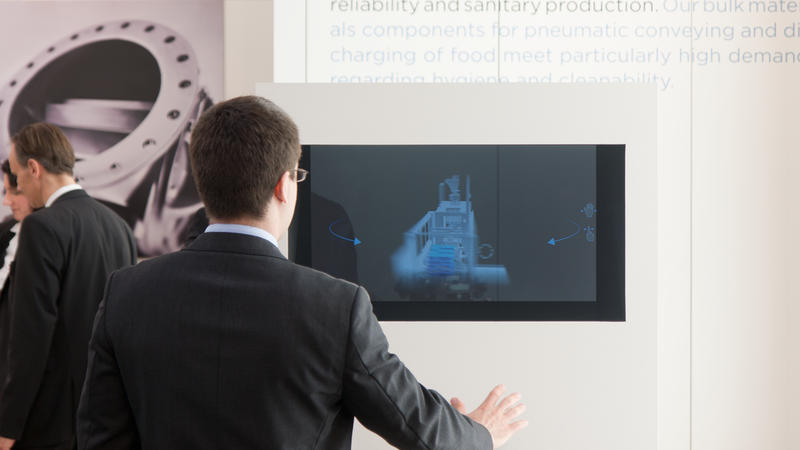 With hand gestures and pointing to various hotspots details can be explored or additional media like films can be selected. The animated components can be examined all around and seam to float ghostly in space.